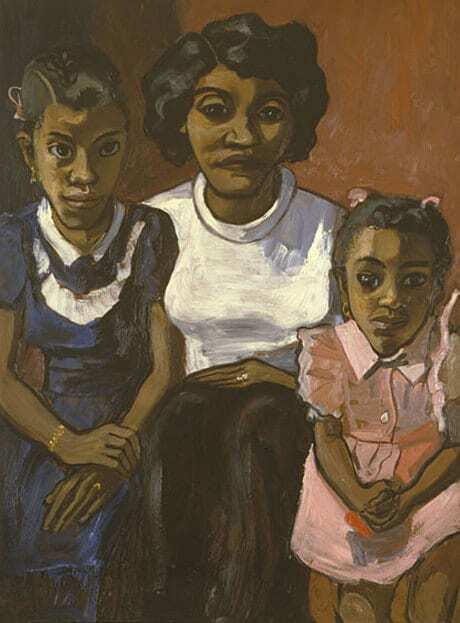 Randee Silv explores the influence of Alice Neel's politics on her work on the occasion of the exhibition Alice Neel, Uptown, curated by Hilton Als, at David Zwirner Gallery, New York, on view through April 22, 2017. Silv begins: "I immediately found myself in a crossfire of conversations. Ricocheting. Intimate. Political. Some might’ve known each other. Some maybe not. Some were absent. Circling in and out of the gallery’s multiple spaces felt like riding hypnotic waves that converged at the intersections Alice Neel had so skillfully made visible. She gave each person a platform to speak, disrupt, disturb. She made introductions. They were hard to walk away from. I wasn’t going to let them fade into the stark white walls."